We are taking bookings for stalls at the Christmas Fayre. Please contact Debbie Hay via the contact page and selecting 'Friends of St Bede's School'. 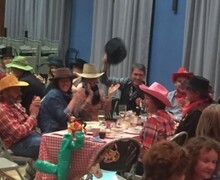 Grey matter was put to the ultimate test recently as the Friends of St Bede's staged its annual Quiz Night. More than 80 parents and staff formed teams in the school hall to test their knowledge against Quiz Masters Graeme Hay and Brandon Hannan. 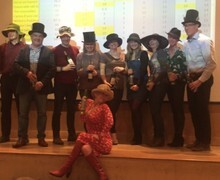 The 'Mad Hatters' swept the board, winning the overall Quiz, while 'Cactus If You Can' won the Best Dressed table (for the second year running). 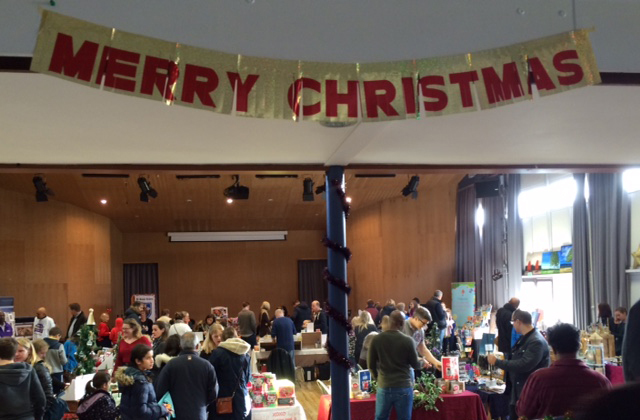 More than £2,000 was raised for the school on Saturday 19 November as the Friends of St. Bede’s staged its annual Christmas Fayre. The main hall, foyer and canteen were transformed into an array of colour and activity as almost 30 stallholders attracted hundreds to come and get into the Christmas spirit. Debbie Hay, Chair of the Friends, was delighted with the result – but said it was only possible through the help and support of so many at St. Bede’s. The Friends relies on the goodwill and voluntary work carried out by a merry band of mums, dads and staff at the school – as well as all of the donations made by the families. This type of fund-raising, which is vital to boost the ever-diminishing school budget, is only possible because of the community we have at St. Bede’s. Many of the stallholders congratulated the festive atmosphere this year – hugely boosted by Mr Wood, Miss Mitchell and a handful of students singing carols. Cheerleaders and dancers from the KCA Performing Arts group entertained families in the old gym, while the Friends turned the canteen into a Christmas café, offering hot drinks, sausage and bacon rolls, soup and cakes. The Friends are now gearing up to provide refreshments at the Christmas Carol Service before organising the popular Quiz Night in February. 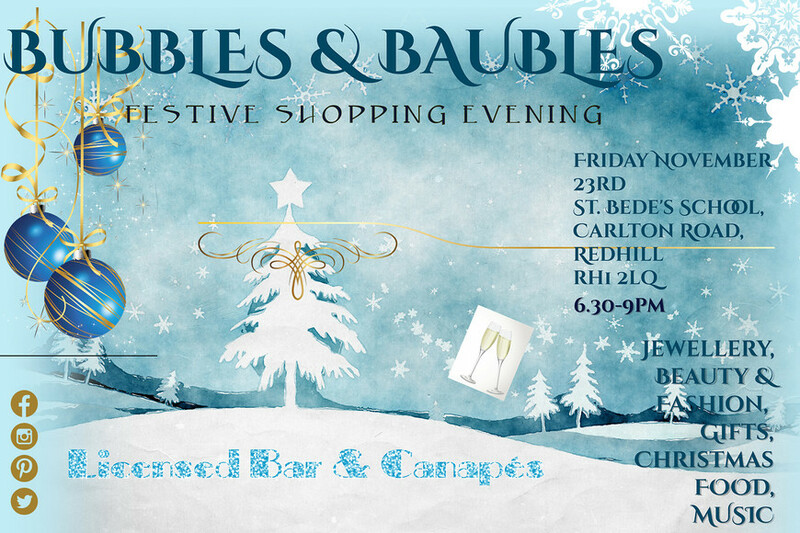 Anyone who would like to get involved should contact the Friends via email to friends@st-bedes.surrey.sch.uk. With regret The Friends of St Bede’s has had to cancel the Summer of ’76 Party planned for Saturday 9 July. Unfortunately a lack of support for the event meant The Friends, whose main aim is to raise much-needed funds for the school, would have been out-of-pocket. An event of this nature requires outside suppliers (caterers, DJs etc) and minimum numbers were required for the competitive prices we had managed to negotiate. Thank you to those people who did book tickets and were willing to support the event – and we are sorry to have to let you down. You will be contacted individually so that refunds can be organised. The Friends will continue to explore new ideas for both fundraising and social inclusion at the school – our next event will be the Christmas Fayre on November 19, following last year’s successful event.